November 3 is an important day in the history of space. 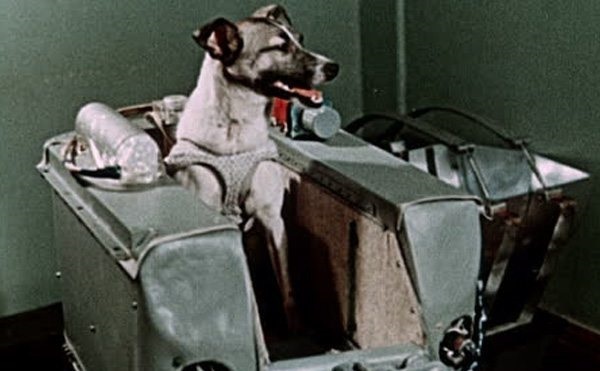 On this day i.e., on November 3, 1957, Russia sent to space to a dog named Laika, in space called Sputnik 2. He had also made earth-spell by sitting in Sputnik-2. Laika was sent in a way to test. One purpose of this mission was to know how safe it is to send a person to space and how the situation is there. The sad thing is that Laika played a key role in this space mission but she could not return alive on Earth. Laika was the first animal to be sent to space but it is not entirely accurate. it is definitely the right thing that Laika was the first beast to reach the earth. The animals which were sent before were not sent to the earth's room. To study the effect of radiation at a very high altitude in 1947, Fruit Flies was sent to the V2 rocket. Next year, the same aircraft was sent to the Monkey of Rhesus species. Soviet Russia also sent a Dogi named Albina. He returned by halfway through the room. It was a backup of Laika. Some sources say that it was planned to send Albina to Sputnik 2 earlier, but Laika was chosen because of her calm nature. The Sputnik-2 size was slightly larger than a washing machine. Laika was trained in small cages for the purpose of training herself to keep herself alive under Sputnik 2.